process and many are ranked by important guides including Chambers, Legal 500 and Best Lawyers. 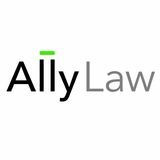 Ally Lawâ&#x20AC;&#x2122;s unique business model offers corporate clients distinct advantages. Our firms are indigenous in their respective jurisdictions, with a deep understanding about the local business climate and culture. Rates are set according to the local market conditions. This provides efficiency and agility in response for our clients. not uphold our service standards. as those we enjoy with our clients. key industry sectors, for example, healthcare, leisure and hospitality, real property and construction, retail, and technology. jurisdictions, with a deep understanding about the local business climate and culture. D & A Morales y Asociados, S.C.